The main focus from a Tipperary perspective this week focuses on the Electric Ireland Munster Minor Football Championship as Tipperary travel to Pairc Ui Rinn to meet Cork this Wednesday April 13th at 7pm. We send best wishes to all the panel and management as the Tipperary minor footballers get their championship up and running. Jack Dolan – Fethard, Jack Harney – Moyle Rovers, Paudie Feehan – Killenaule, Jake Flannery – Galtee Rovers, Colin English – Fr. Sheehy’s, Daire Brennan – Kilsheelan-Kilcash, Stephen Nolan – Drom & Inch, Conor Cashman – Cahir, Ben Hyland – Fr. Sheehy’s, Ryan Lambe – Clonmel Commercials, Calvin Bolan – Clonmel Commercials, Daire Egan – Galtee Rovers, John Lyons – Grangemockler-Ballyneale , Michael Barlow – Ardfinnan, Adrian English – Ballyporeen, David Croke – Holycross-Ballycahill, Eoghan Ryan – Loughmore-Castleiney, Shane Ryan – Galtee Rovers, Michael Purcell – Thurles Sarsfields, Stephen Quinlan – J.K. Brackens, Conal Kennedy – Clonmel Commercials, Andrew Vance – Emly, Conor Murphy – Thurles Sarsfields, Oscar O’Dwyer – Arravale Rovers. Extended panel players are, T J Butler – Upperchurch-Drombane, Robbie Condon, Ardfinnan, Josh Macken – Ballyporeen, Jack Delahunty – Newport, Gavin Whelan – Ardfinnan, Kyle Peters – Clonmel Commercials and Eoghan Ryan – Cappawhite. Semple Stadium will hold both Allianz Hurling League Semi-Finals this Sunday, April 17th with Waterford v Limerick at 2pm and Kilkenny v Clare at 4pm. Best wishes to referee Fergal Horgan (Knockavilla Donaskeigh Kickhams) who will take charge of the Kilkenny v Clare clash. The dreadful weather played havoc with fixtures on Sunday last with a number of County Senior Hurling Championship games having to be postponed because of unplayable pitches. The County C.C.C. have made re-fixtures accommodating these in a fashion that will enable plans to get back on track in a good timeframe. Of the games that went ahead Saturday evening got a clean bill of health starting with Roinn 1 Group 1 where Killenaule had an impressive result over JK Brackens to get their campaign up and running with a flourish. Kiladangan in Roinn 1 Group 3 had four to spare over Nenagh Éire Óg in a North derby. In Roinn 2 Group 1 Burgess and Moyne-Templetuohy played out a draw in a high scoring encounter while Éire Óg Annacarty just had the measure of Roscrea with two to spare in Roinn 1 Group 3. Finally in the last of Saturday evening’s fixtures in Roinn 2 Group 3 in Moneygall, Loughmore-Castleiney proved too strong for Borrisokane. Then on Sunday things went downhill with only two matches surviving, of these in Roinn 2 Group 4, Ballina had the measure of Silvermines in Nenagh while Clonoulty-Rossmore had three to spare over Kilruane MacDonaghs in Dolla. This Saturday evening sees four of the postponed fixtures going ahead at 6.30pm with the remaining two on Sunday evening also at 6.30pm. So on Saturday it is Thurles Sarsfields v Borris Ileigh in Templemore; Mullinahone v Templederry Kenyons in Templetuohy; Holycross-Ballycahill v Toomevara in Templederry and Ballingarry v Clonakenny in Boherlahan. On Sunday then Portroe meet Lorrha-Dorrha in Cloughjordan and Moneygall meet Carrick Swans in Annacarty. The only postponed game not rescheduled for this weekend is the Drom & Inch v Upperchurch-Drombane fixture as both clubs are out in the County Senior Football Championship which commences this weekend. There are six ties down for decision at 6.30pm on Saturday evening in the County Senior Football Championship, Arravale Rovers meet Kilsheelan-Kilcash in Cahir; Cahir take on Upperchurch-Drombane in Sean Treacy Park; JK Brackens play Ballporeen in Leahy Park, Cashel; Killenaule meet Clonmel Commercials in Monroe; Éire Óg Annacarty-Donohill meet Thomas MacDonagh’s in Newport and Aherlow Gaels take on Moyle Rovers in Ardfinnan. While the remaining two on Sunday, sees Ardfinnan play Drom & Inch in Pairc Coicaim at 12 noon and at 6.30pm Loughmore-Castleiney play Galtee Rovers-St. Pecaun in New Inn. Well done to referee Sean Lonergan from Moyle Rovers in taking charge of the Munster U21 Football Final last Thursday night, April 7th between Cork and Kerry in Tralee. Plus on top of those excellent prizes, Bonus Draw for All Ireland SH weekend, bonus draw for Direct Debit members, plus lots of Cash Prizes every week and month as well. All current members will receive the new brochure with your receipt in the post before the end of April or you can contact your draw promoter in advance of that. 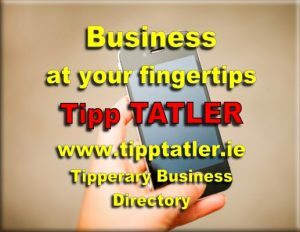 Your local Tipperary GAA Club will receive 50-70% of your subscription as commission for you membership so not alone are you supporting your County but even more so your local GAA Club. We hope you will continue to support our New Tipperary GAA Members Draw. The National Launch of Féile will take place on Thursday 21st April at 7.00pm in Ballymacarbry Community Centre, nestled in the Nire Valley on the Waterford /Tipperary border. This night of music, dance and celebration will showcase local talents from national schools of Newcastle Co. Tipperary and Ballymacarbry, Co Waterford as well as other local dignitaries. The Presidents of the G.A.A., Camogie and Handball Associations will also be in attendance. This June as previously advertised, the Féile na nGael tournament comprising of hurling, camogie and handball will take place in Tipperary and Waterford from Friday June 17th to Sunday June 19th and a number of clubs in Tipperary and Waterford will be given the task of hosting visiting teams as part of the Féile weekend. Preparations for Féile are led by the organising committee under the attentive watch of Chairman Donal Shanahan (Tipperary) and Secretary Patricia Walsh (Waterford) who along with their team and many volunteers are working to ensure the weekend is organised professionally. The Thomas MacDonagh 2016 Commemoration Committee would like to invite GAA Clubs in County Tipperary to participate in a Parade in Cloughjordan on Monday 2nd May 2016 as part of the year of events organised for 2016. Participants are requested to march behind their banner wearing their club colours. In view of the strong links between the MacDonagh name and the GAA it is felt that this would be an appropriate manner for the GAA to join in honouring MacDonagh in this centenary year. The Parade will take place on Main St., Cloughjordan. Participants are requested to assemble on Main St. at 1 p.m. with the Parade commencing at 2 p.m. The Parade will commence from St. Michael’s N.S. on Main Street. The Parade will be followed by the unveiling of a bronze statue of MacDonagh on Main St.
Information on a most important memo relating to the commencement of the National Vetting Bureau (Children and Vulnerable Persons) Acts 2012 to 2016 was circulated by Co. Secretary Tim Floyd to all clubs last week. The GAA has been informed that the Acts will now commence on 29 April 2016 thus introducing in the 26 Counties the mandatory vetting of all persons who work with children or underage teams, i.e. teams and individuals under 18 yrs. of age, and to those who work with vulnerable adults as well. Once the Acts commences the GAA will move from a paper vetting system to an on line or E-Vetting procedure for our members. The memo circulated provides additional information in respect of the Acts and on E-Vetting for all clubs in Tipperary. Additional information will follow as the National Vetting Bureau provides updates on the commencement of the Acts. 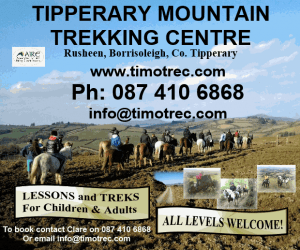 The Tipperary Supporters Club for 2016 is available and at €30 per person it is unchanged again this year. The Tipperary Supporters Club member’s gift in 2016 will be a trolley coin keyring, 43 mm x 33 mm, featuring The Tipperary Supporters Club Official Logo.